Although gages are plums, they tend to be sweeter and smaller than traditional plums. Count Althann’s gage plums, also known as Reine Claude Conducta, are old favorites with a rich, sweet flavor and a dusky, rose-red color. Introduced to England from the Czech Republic in the 1860s, Count Althann’s trees are upright, compact trees with large leaves. The hardy trees tolerate spring frost and are suitable for growing in USDA plant hardiness zones 5 through 9. Interested in growing Count Althann’s gage trees? Read on for more information. The gage ‘Count Althann’s’ requires another plum tree nearby for pollination to take place. Good candidates include Castleton, Valor, Merryweather, Victoria, Czar, Seneca, and many others. 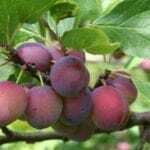 Like all plum trees, Count Althann’s trees require at least six to eight hours of sunlight per day. Count Althann’s trees are adaptable to nearly any well-drained soil. 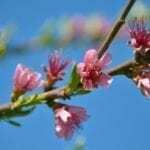 However, plum trees shouldn’t be planted in heavy, poorly-drained clay. Improve soil before planting by digging in a generous amount of compost, shredded leaves or other organic material. Don’t use commercial fertilizer at planting time. 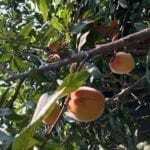 If your soil is rich, no fertilizer is needed until the tree begins bearing fruit. At that point, provide a balanced fertilizer with an NPK such as 10-10-10 after bud break, but never after July 1. If your soil is poor, you fertilize the tree lightly the first spring after planting. Prune Gage Count Althann’s as needed in late spring or early summer. Remove water sprouts as they pop up throughout the season. Thin Gage Count Althann’s fruit as it begins to form, allowing sufficient space for fruit to develop without touching. Begin by removing any diseased or damaged fruit. Water newly planted trees weekly during the first growing season. Once established, the trees require very little supplemental moisture. However, you should provide a deep soaking every seven to 10 days during extended dry periods. Beware of too much water. Slightly dry soil is always better than soggy, waterlogged conditions. Watch for codling moth caterpillars. Control the pests by hanging pheromone traps. Count Althann’s fruit is ready for harvest in late summer or early autumn.